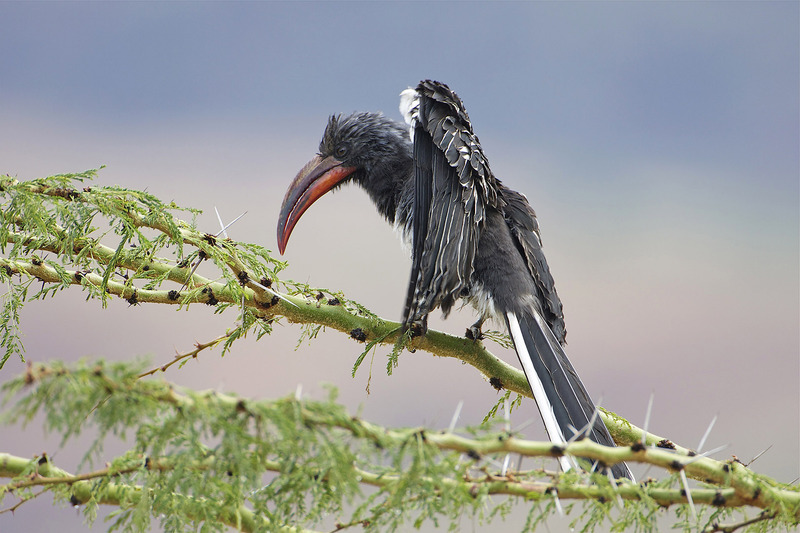 The possibilities of birding in Kenya are endless, and coming up with a simple birding itinerary will probably cost you less of your time. However, to come up with an excellent birding plan, you need to consider the general security situation, accessibility of the birding spot , bird species sort after by the birder, physical fitness of the participant and the traveling time. Some route will be incredibly rewarding with Kenya endemic and near endemic species. 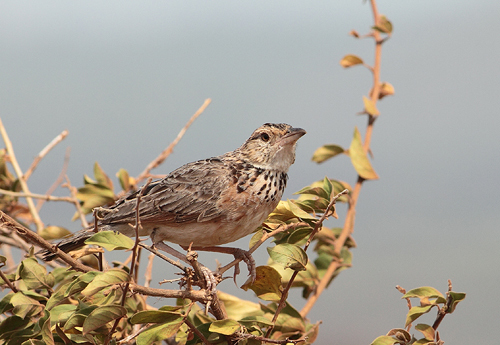 For instance, you can easily see four (William’s Lark, Sharpe’s Longclaw,Aberdare Cisticola and Hinde’s Babbler) out of six endemics of Kenya by visiting Mt. Kenya Forest, Samburu national reserve, Aberdare national Park and Kinangop grassland. The route can also pocket you nine of the Kenya near endemic. Some directions gives you greater species diversity than other. 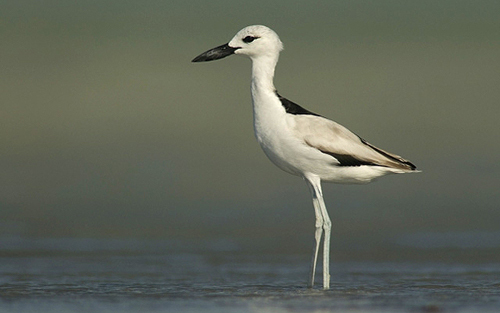 A birder can easily pocket over 450 species in 14 days by trying the Eastern-Coastal Route which will ideally take you to the world’s only wildlife capital (Nairobi National Park), Lake Magadi, Amboseli National Park, Tsavo West, Lake Jipe, Kitobo Forest, Tsavo East National Park, Arabuko Sokoke forest, Mida Creek and Sabaki estuary. Some of the species unique to this route includes; Clarke’s Weaver, Fischer’s Turaco , Sokoke Scops Owl , Mombasa Woodpecker , Friedmann’s Lark , Malindi Pipit, Sokoke Pipit , Pangani Longclaw , East Coast Akalat , Little Yellow Flycatcher , Amani Sunbird, Red-naped Bush-Shrike , Taveta Golden Weaver and Southern Grosbeak-Canary just to name but a few. After all this business of chasing this things with wing, you can spare yourself few days to just to relax at one of those exclusive white sand beach resorts in Watamu and Malindi and perhaps try out snorkeling by visiting either Malindi or Watamu Marine park. If you decide to go down the Rift Valley, you will be treated with some of the spectacular panorama views of your life, 30 km from Nairobi, you will be descending the Rift, at its base is Lakes Naivasha, Elementaita,Nakuru, Bogoria and Baringo. All the Lakes are important bird areas and therefore birdwatching is very productive there. You will then exit the Rift Valley through the Elgeyo escarpment having literally driven a cross Kerio Valley which with luck can produces good species like White-crested and Ross’s Turaco, Chestnut-crowned Sparrow Weaver, Green-backed Eremomela and Boran Cisticola. While travelling through Uasin Gishu Plateau, you guys have two option, which in any way, you can decided to take both. Start by visiting Burney’s House in Sirikwa which is normally basic base for exploring Cherangany Hills, Kongolai Escarpment and Saiwa swamp national park, the smallest park in Kenya barely measuring more than 2.9 sq.km . This small park provides a great home for Sitatunga, a swamp dwelling antelope and De Brazza’s Monkey. You will definitely find this route worth your while with species like Lammergeier, Lesser Blue-eared, Bronze-tailed and Splendid Starling, Yellow-billed Shrike,Heuglin’s Masked Weaver, Black-billed Barbet, Gambaga Flycatcher and Yellow-billed Hyliota coming your way. Kakamega forest, Busia Grassland and Lake Victoria gives you a taste of western Kenya birding in a nutshell with high possibility of recording species like Turner’s Eremomela, Southern Hyliota, African Broad Bill, Great Blue and Black-billed Turaco, Yellow-billed, Hairy-breasted, Grey-throated and Yellow-spotted Barbet, Blue-shouldered, Snowy-headed and Grey-winged Robin Chat inside Kakamega forest, which is the only remnant tropical rain forest in Kenya. Busia region will reward you with Red-fronted Lovebird, Blue-breasted Bee-eater, Fawn-breasted and Zebra Waxbill,Bar-breasted and Black-bellied Firefinch, Compact Weaver and Rock Pratincole. 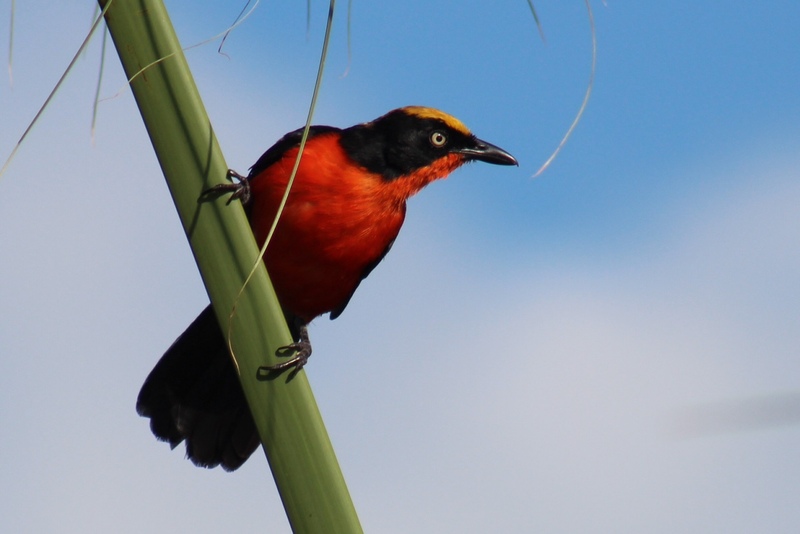 Lake Victoria richness in Papyrus vegetation is therefore ideal habitat to look for birds like Papyrus Gonolek, Greater Swamp, Papyrus Yellow and White-winged Warbler, Swamp Flycatcher, Slender-billed, Yellow-backed and Northern Brown-throated Weaver among others. Eastern Plantain Eater and other aquatic species are plenty here. After Lake Victoria you head south-east to Masai Mara Game Reserve. The Mara is the northern extension of the famous Serengeti plains. Here you will find a wide assortment of bird life as well as some of the most spectacular mammals on the continent. Complementing the wildlife is the dramatic scenery of endless grasslands, lush river valleys and steep rock-strewn escarpments. 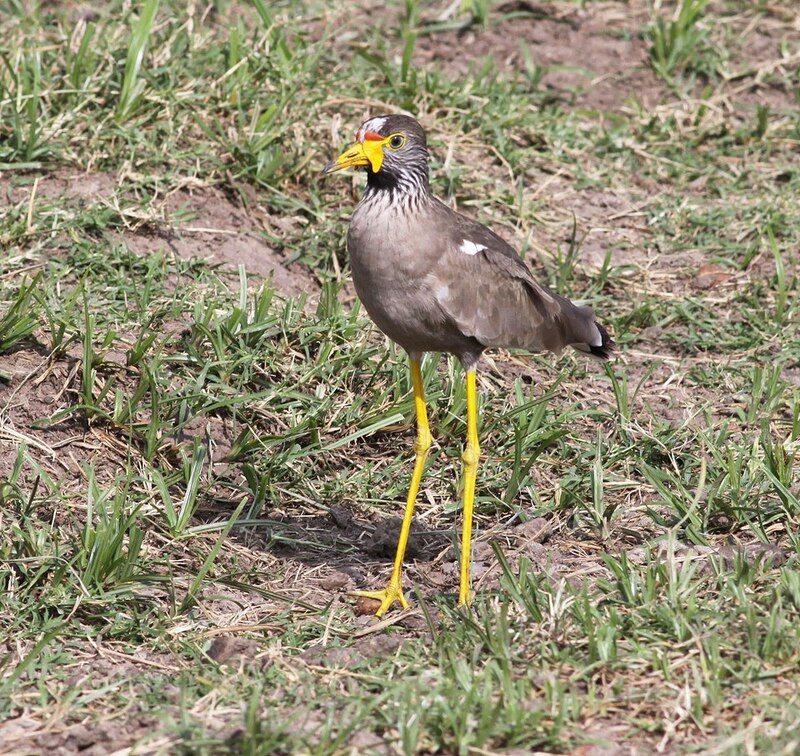 Birds you can expect in this area of the Mara are Rufous-bellied Heron, Saddle-billed Stork, Wahlberg’s Eagle, Coqui and Red-necked Francolins, Grey Crowned-crane, Temminck’s Courser, Wattled Lapwing, Ross’s and Schalow’s Turacos, Malachite and Woodland Kingfishers, Yellow-throated Longclaw, Rufous-chested Swallow, White-tailed Lark, Familiar Chat, Silverbird, Red-faced, Trilling and Tabora Cisticolas, Green-capped Eremomela, Black-crowned Tchagra, Hildebrandt’s and Violet-backed Starlings, Yellow-fronted Canary and Cinnamon-breasted Bunting. This is the best area in the Mara to see big game up close and some of the many mammals to be seen here include Black-backed Jackal, Bat-eared Fox, Banded Mongoose, Spotted Hyena, Serval Cat, African Lion, Leopard, Cheetah, Bush Hyrax, African Elephant, Common Zebra, Hippopotamus, Common Warthog, Masai Giraffe, African Buffalo, Eland, Steinbuck, Bohor Reedbuck, Thomson’s and Grant’s Gazelles, Impala, Topi, Coke’s Hartebeest and thousands of Wildebeest. You will also see many massive Nile Crocodiles, some over 15ft in length, basking in the sun along the banks of the Mara River. From Masai Mara Game Reserve, you only need 4 hours to drive to Nairobi.